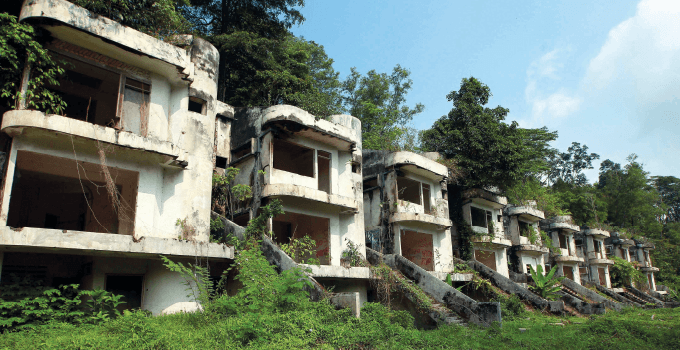 ONCE a thriving property hot spot and home to the elite, Bukit Antarabangsa in Hulu Klang lost some of its lustre after the collapse of the Highland Towers in 1993 and a landslide in 2008. The Highland Towers tragedy happened 1.3km from Bukit Antarabangsa. Soil that had been oversaturated with water turned to mud that then broke through a retaining wall behind the towers. The pressure from the earth broke the foundation of one of the three towers, which collapsed, claiming 48 lives. Fifteen years later, in 2008, a landslide caused four deaths and destroyed 14 bungalows. After these incidents, property developers stopped building in the area while banks were reluctant to approve loans and investors were hesitant to purchase properties there. However, it is still a popular residential address due to its close proximity to the Kuala Lumpur city centre and accessibility via several main roads and highways, he says. 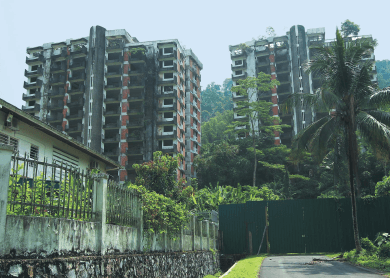 Firdaus & Associates Property Professionals Sdn Bhd managing director Firdaus Musa believes that Bukit Antarabangsa has always seen slow growth, partly due to the landslide issue and land gradient. Banks have also been reluctant to give end-financing to high-rise developments there. Firdaus stresses that there have only been two big landslides, one of which happened outside Bukit Antarabangsa. News of the landslides in 1993 and 2008 greatly affected condominium values. Furthermore, some of the high-rises are more than 20 years old, and maintenance has been poor to fair. JS Valuers’ Chan concurs, adding that low demand has restrained price appreciation of properties in Bukit Antarabangsa, especially high-rises. “The government has imposed strict development guidelines on this locality, which will limit new supply and curb landslides. These measures augur well for Bukit Antarabangsa in the medium to long term,” he says. 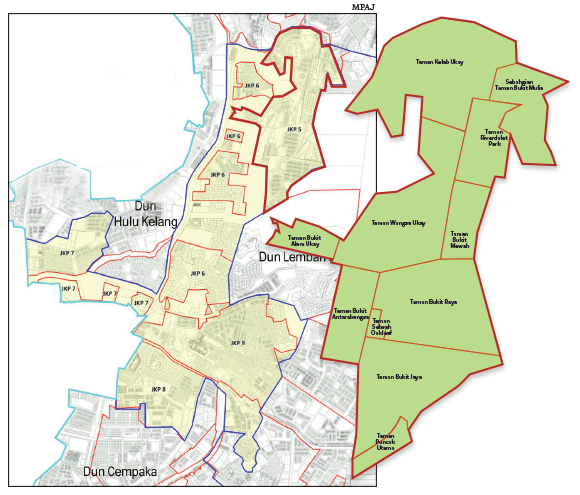 According to Firdaus, Bukit Antarabangsa can be divided into three areas, with the first being the freehold area close to the Middle Ring Road 2 (MRR2). The area comprises flat land and bedrock ground, similar to what is seen in Bangsar. The second is Bukit Mulia, which has substantial flat land with some parcels that can still be developed. The third area includes Bukit Jaya and Bukit Utama, with flat and hilly parcels, many of which are undeveloped. Firdaus believes that people have had time to forget or move on from the past tragedies and start looking look at the area again because of its strategic location and affordable prices. Property prices have appreciated since 1993, albeit less than the surrounding areas. For example, a 1,421 sq ft 2-storey terraced house that was transacted at an average price of RM158,000 in 1996 rose to RM395,000 in 2012 — a rise of 150%. In contrast, the prices of condos did not see much appreciation. A 1,378 sq ft 3-bedroom condo that fetched RM172,000 in 1996 was going for RM180,000 in 2012 — up only 4.6%. “Bukit Antarabangsa is a well-established area, particularly for high-end residential developments. If not for the landslide issue, we believe it would have seen greater growth in terms of pricing and take-up rate,” says Chan. Tracts suitable for low-rise residential developments can fetch RM30 to RM50 psf while those with potential for high-rise projects can fetch much more. The price depends on the condition of the site — its gradient — and how difficult it is to get the necessary approvals from the authorities. Firdaus says landed properties saw values rise 15% to 20% from 2013 to 2014, excluding the value of detached houses that suffered due to the 2008 landslide. Condos and apartments did not fare well due to the risk factor as well as maintenance and age issues. “For bungalow plots, the prices since 2013 have been around RM145 psf,” he adds. “Owners who wish to dispose of properties with landslide risks will find it challenging ... Many owners who live further away from landslip-prone areas will likely continue to hold on to their properties due to the weak prices,” says Chan. Nevertheless, Bukit Antarabangsa has benefited from the increase in value of nearby developments such as Ukay Bestari, Sering Ukay, Sierra Ukay, Nusa Tropika and Ukay Perdana. Firdaus says developers would likely target areas along Jalan Ukay Perdana and some flat parcels to the rear of Bukit Antarabangsa and near Impian Selatan condominium. He says a small gated community of six detached houses was recently completed. Construction of major gated projects have yet to start, even though the developers have begun to market them. One developer that will be launching in the area is IJM Land Bhd, the property development arm of IJM Corp Bhd. In June, it will be launching its DeBunga Residensi @ Ukay Perdana, featuring 207 bungalows and semi-detached houses priced from RM2.7 million to RM4 million. Bukit Antarabangsa is well connected to major roads and highways such as the MRR2 and Duta-Ulu Klang Expressway (DUKE). “Accessibility is excellent due to the MRR2 and it is only 15 minutes to the Kuala Lumpur city centre via the Ampang-Kuala Lumpur Elevated Highway (Akleh). It is also connected to Damansara via DUKE and to Setapak via Jalan Genting Klang, which is currently being upgraded. However, the MRR2 is congested during peak hours,” Firdaus says. The proposed East Klang Valley Expressway (EKVE) recently attracted much attention, with residents protesting its construction. Non-governmental organisations, including the Malaysian Nature Society, Treat Every Environment Special and World Wide Fund for Nature-Malaysia have joined hands as the Coalition for the Protection of the Selangor State Park to voice their concerns about the proposed project’s impact on the water catchment areas. Parts of the protected forest reserve in Ampang and Ulu Gombak would be torn down to make way for the EKVE. The expressway is part of the larger Kuala Lumpur Outer Ring Road and will connect the Karak Expressway to SILK Highway. The EKVE is one of six highways planned in Selangor. The others include the Sungai Besi-Ulu Kelang Elevated Expressway (SUKE), Damansara-Shah Alam Elevated Expressway (DASH) and the already cancelled Kinrara-Damansara Expressway (Kidex). The proposed highways had been opposed by residents in Cheras, Ampang, Petaling Jaya and Kota Damansara. Bukit Antarabangsa resident Dr Mohamed Rafick Khan says traffic congestion on Jalan Ukay Perdana — one of the entrances to Bukit Antarabangsa — has been categorised as F — the lowest score — by the Public Works Department (JKR). “The roads have become so bad that travelling for us is a daily chore and we’re wasting a lot of time on the road,” says Dr Rafick, who is president of Abandoned Property Owners Association of Malaysia and facilitator of the Resident Task Force-EKVE. “It has come to a point where on Friday nights, I don’t even go out of the area. If people want to meet me, I tell them to come over to the house,” he says. According to Firdaus, the EKVE could boost areas after Ukay Perdana and Sierra Ukay where there could be new developments. On the other hand, the EKVE may indirectly boost Bukit Antarabangsa in terms of commercial developments, which the area still lacks, he says. Chan, however, feels that for Bukit Antarabangsa to improve, it is more important to prevent any more landslides. After the 2008 landslide, residents of Bukit Antarabangsa and neighbouring areas came together to form SlopeWatch, an organisation that helps monitor and hopefully prevent future landslides. The Bukit Antarabangsa resident adds that the programme has brought about more awareness as people learn to look for tell-tale signs and understand the nature of their land better. “When we started this, there was no clear indication of how to report what we find, so we told the residents to report to us and we will pass it on to the local authorities. And they [the residents and local authorities] have been very cooperative. The report basically is a list of signs that we see and we then make suggestions on what can be done. “When we send in a report, the authorities will look at it, acknowledge it and then we will give them three days to say that they have received the report, visit the site and state the course of action to take. She says the local authorities are not equipped to deal with atters pertaining to slopes. “They do not have the expertise and budget to facilitate these matters, so it’s not easy for them either. Majlis Perbandaran Ampang Jaya (MPAJ) councillor Ahmad Sabri Abu Bakar says the council is working closely with SlopeWatch to monitor the area. It also established a WhatsApp chat group for the community to voice their concerns. “So far, we are all involved, which is very good. During the past landslides, the council was not aware or equipped to handle the problems. Now we are much better prepared and the community even works together to look out for criminal activities such as theft,” says Sabri. MPAJ engineer Zafrul Fazry Mohd Fauzi says the council conducts seminars and talks to promote awareness among the residents. He adds that people who are interested in the booklet can get in touch with MPAJ or go its office to get a copy. This article first appeared in City & Country, The Edge Malaysia Weekly, on March 30 - April 5, 2015.